Want to teach your kids a little math? Get them in the kitchen, get them measuring. 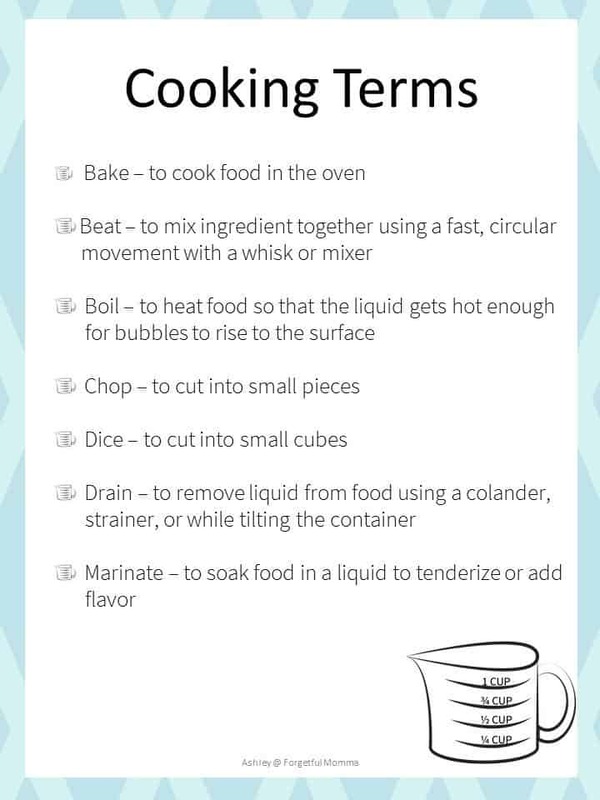 Between measuring and cooking terms you have a lot your can teach your kids. Math and language arts for example. Plus it can just be fun to sit back and watch them while they are trying to find the right measuring cups and spoons. Don’t forget to make sure your kids are being safe in the kitchen too. From the first time Austin started helping in the kitchen I have loved to watch her try to find the right measuring spoon or measuring cup. Just because it can be confusing, and it is always a good laugh. Plus, as a bonus it is a great lesson. I did not look forward to teach fractions because I had a hard time grasping them in school. But here we took to the kitchen because what is cooking and baking if not math? You have the measuring of ingredients. How many 1/4 cups go into a 1 cup? How many 1/3? Then you can do the same thing with measuring spoons too. Even for little ones, it can be fun and a great time to work on counting. At three, my little guy loves to count how many scoops (cups or spoon fulls) need to go into the bowl or pot. Whenever we’re in the kitchen we always seem to come across a term that I have to explain the meaning of to my kids. I have included some of them in the image below. What words get your kids thinking? To get the PDF copy of this chart and so much more, including more PDF for the 10 Days of Kids in the Kitchen series sign up for the weekly newsletter and access to the printable resource library. Great insights. My son loves maths but runs away from the kitchen every time I suggest we cook together. This is a nice approach to integrate maths to make his stay in the kitchen enjoyable.